“What does one have to do with the other?” Stay with me, you’ll see. In basketball, you can only make so many personal fouls before you “foul out.” The same holds true in business. If you don’t want to find yourself sidelined and riding the bench, you need to stop making these 5 referral marketing mistakes TODAY. Don’t Foul Out! Are You Making These 5 Referral Marketing Mistakes? Foul #1 – Missing the super high-percentage shots. When it comes to referral marketing mistakes, there are two super high-percentage shots that people often miss. First, the clients who love you. These are the “slam dunks” of asking for introductions. I’m not saying that you’ll make every one of these shots – heck – even the pros miss a dunk now and then (and they definitely miss more lay-ups than they should), but this is the most natural place to get comfortable and confident asking for introductions. The second super high-percentage shot is with the clients who have already provided you with referrals. They already think you’re referable. They’re willing to do this from time to time. Remember this… We miss 100 percent of the shots we never take! Not “taking the shot” is one of the worst referral marketing mistakes you can make. Foul #2 – Not following through. When I played basketball in high school, our coach used to show us how to pass the ball making a little noise at the end of the pass. Hard to describe, but sounded a little like the word “swift.” It was his way of emphasizing the most critical of skills in basketball and all sports, for that matter… Follow through! As with the basketball shot and the pass – follow through is critical for success. How well are you following through with the referrals and introductions you receive? Respond immediately. Referrals have a short shelf life. Keep your source in the loop. If you hit a snag, get them involved. Say thank you with a handwritten note or token gift. Foul #3 – Not having a strategy for breaking down the defense. When a team faces a defense it’s not used to playing against, the offense usually stalls. For example, if a team is known to be poor against zone defenses, show them a lot of zone. Why do they do so poorly against a zone? Probably a combination of coaching and player comfort zone. Most of these players grow up playing against man-to-man. When the opponent shows zone, no matter how much they practice, they just aren’t as clear and confident with what to do to break down the zone. I liken this to dealing with concerns or objection we receive from clients related to providing introductions. Without a clear strategy in place and a bit of practice to gain confidence, you’ll be rendered totally ineffective when these concerns are expressed. Foul #4 – Not making enough assists. Every player hates a ball hog. I stopped playing at one public court because there was a guy who almost never passed the ball. He was a good player, but I didn’t go there to watch him. I went there to participate. 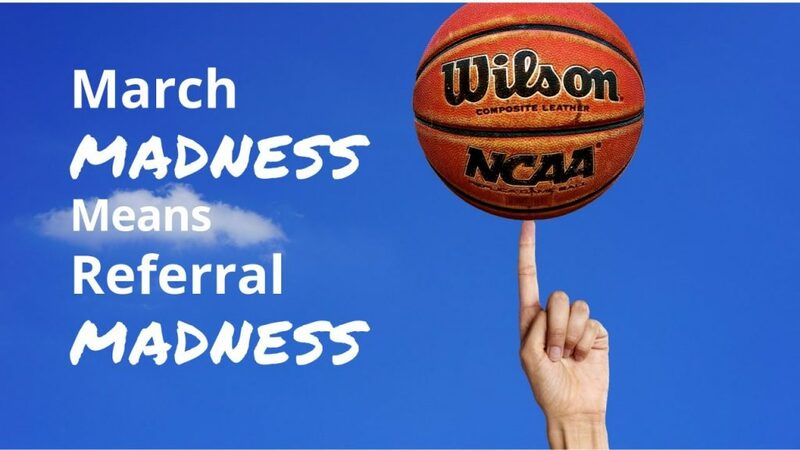 Are you giving referrals – in all aspects of your life? If you’re reluctant to give referrals, how are you going to expect to create a culture of others giving referrals to you? And I’m not just talking about providing prospects and clients with introductions to prospects for their business – thought that’s a good thing to do. I’m talking about making all kind of introductions to bring value to others; introducing resources to your prospects, clients, friends, family, and colleagues. Give to get! Foul #5 – Not valuing your cheerleaders enough. Have you surrounded yourself with the type of support you need to reach your full potential in all aspects of your life? Are you in one or two study groups or mastermind groups to make sure you question your assumptions and brainstorm new ideas on a regular basis? Assuming you’re good at what you do, you shouldn’t have much trouble finding people to sing your praises. And that’s a good thing. We all need that. Anyway… The people who truly want you to succeed will cheer for you when things are going well; will cheer for you when things are not going so well; and will support you to be more today than you were yesterday. This entry was posted in Convert Prospects into Clients (Sales) and tagged referral marketing. I was thinking about how much easier it is to make a dunk at the basket and the further you go out on the court, the harder that becomes. I reminded me of the lesson around “come prepared” and how if you come with specific names it’s like shooting near the basket and if you come with open ended brainstorming or lists/directories it’s more like the shooting from the 3 pt. zone. Harder to make the basket.